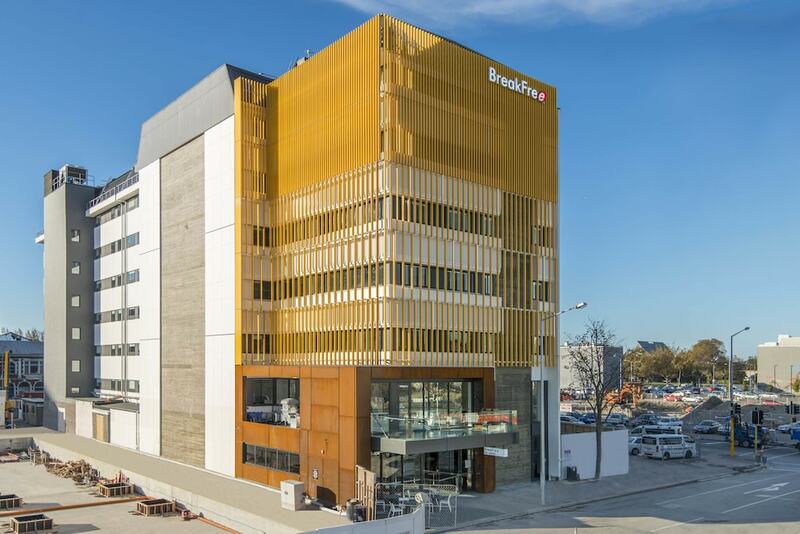 With a stay at BreakFree on Cashel in Christchurch (Christchurch City Centre), you'll be within a 10-minute drive of Christchurch Casino and Christchurch Public Hospital. This hotel is 1.3 mi (2.1 km) from Hagley Park and 2.4 mi (3.8 km) from AMI Stadium. Make yourself at home in one of the 263 guestrooms. Complimentary wireless Internet access is available to keep you connected. Bathrooms have showers and hair dryers. Conveniences include desks and coffee/tea makers, and housekeeping is provided daily. At BreakFree on Cashel, enjoy a satisfying meal at the restaurant. Buffet breakfasts are available daily from 6:30 AM to 10:30 AM for a fee. Featured amenities include a business center, dry cleaning/laundry services, and a 24-hour front desk. This hotel has 3 meeting rooms available for events. Self parking (subject to charges) is available onsite. The hotel offers a restaurant. Public areas are equipped with complimentary wireless Internet access. This 3-star property offers access to a business center. 3 meeting rooms are available. This business-friendly hotel also offers a fitness center, laundry facilities, and dry cleaning/laundry services. Limited onsite parking is available on a first-come, first-served basis (surcharge). BreakFree on Cashel is a smoke-free property. BreakFree on Cashel has a restaurant on site. Book a stay in any room or rate category and receive free WiFi for up to 4 devices, with a total of up to 500 MB of data per day and 30 minutes of free WiFi in the hotel lobby daily. Full details at check-in. Additional WiFi available for a surcharge. Valid anytime, subject to availability. Other restrictions may apply.